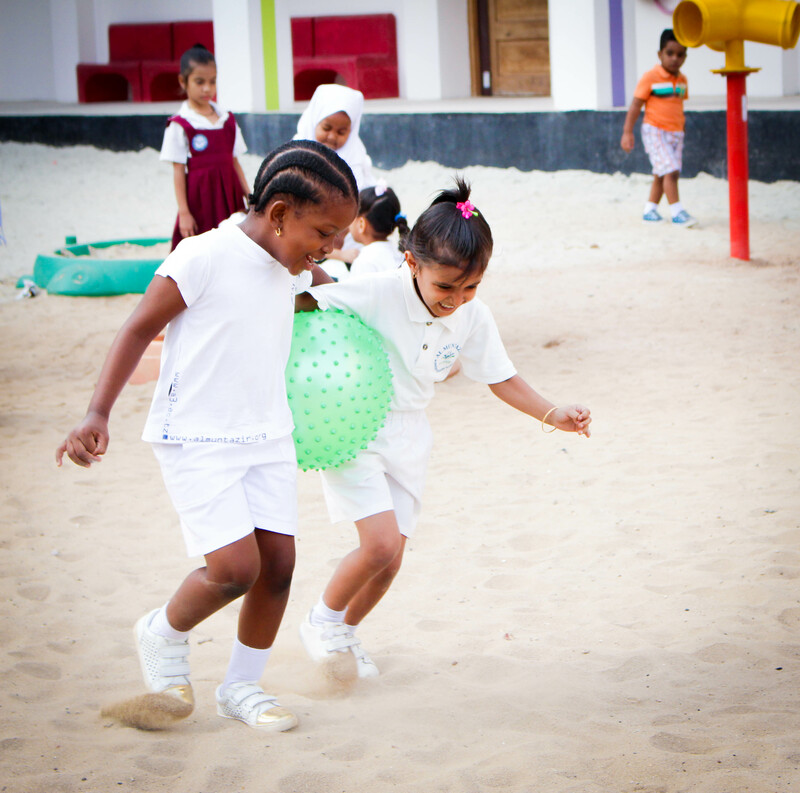 Welcome to Al Muntazir Girls’ Primary School (AMGPS) situated on the United Nations Road, very close to the Indian Ocean, from where we can feel and breathe the fresh ocean air. 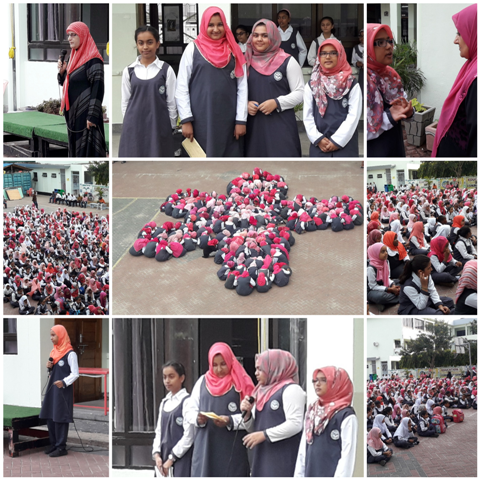 The Al Muntazir Girls Primary Campus was established in the year 2002, branching out from the Al Muntazir Junior School. It has evolved over the years and is today led by a highly qualified and dedicated team of management and teachers. Our school is an ever-developing and changing place, which has a lively and dynamic environment, reflecting the zeal and enthusiasm of the entire School Community. 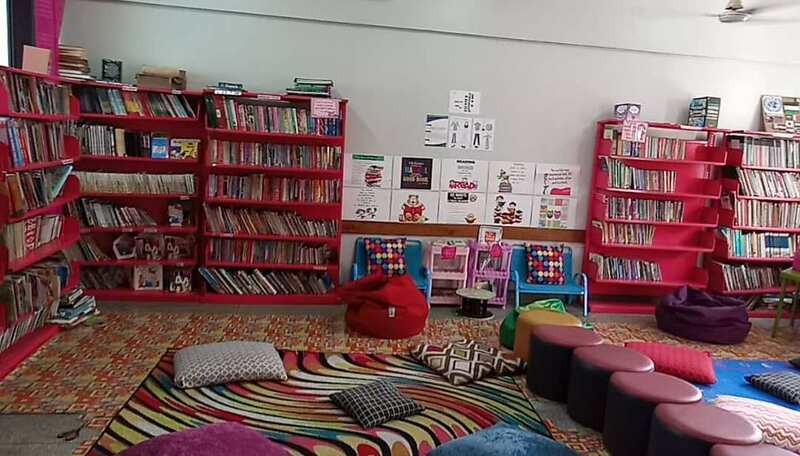 As you navigate your way through these lines, you will feel your presence at Al Muntazir Girls’ Primary School which is motivated by The Will to Succeed. The campus is built up as a two floored open rectangle. 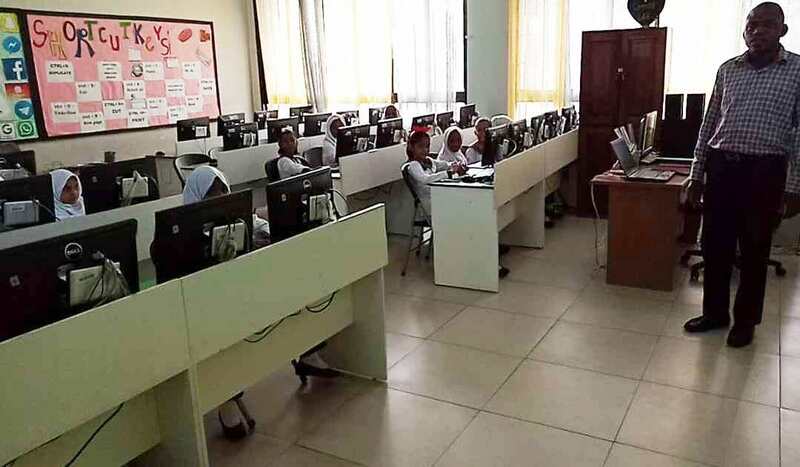 This consists of offices and spacious classrooms, as well as extra facilities such as an art room, an inviting library, a modernized computer room, a moral science room, a resource room and a sick bay where children are taken care of by the school nurse. Our school is a Muslim-based institution but keeping in mind the continuous concern for improvement, respect and discipline, we are proud to have students from different backgrounds and it is in the spirit of positive reception that we work and play together. The School is divided into the Lower primary and Upper Primary Sections. The Lower Primary (i.e. 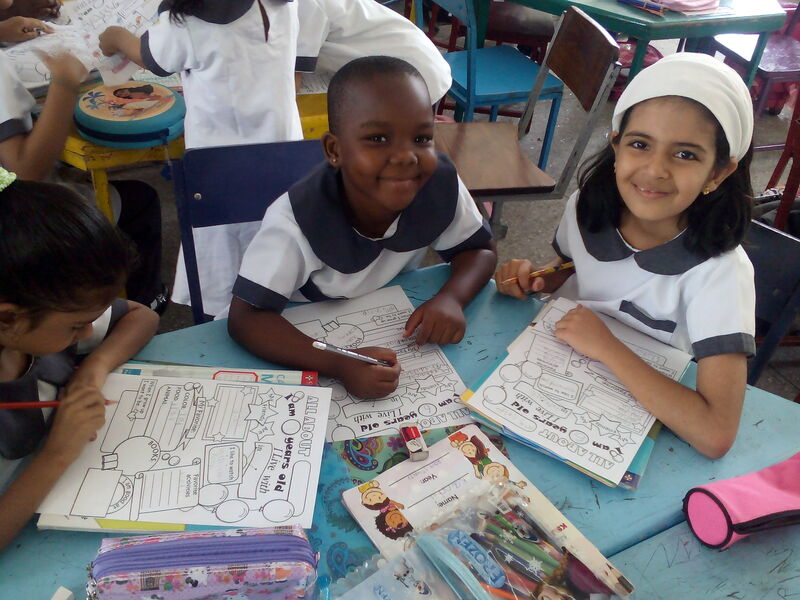 Grades 1, 2 and 3) has its main focus on child development, done through the concept of homeroom teachers. 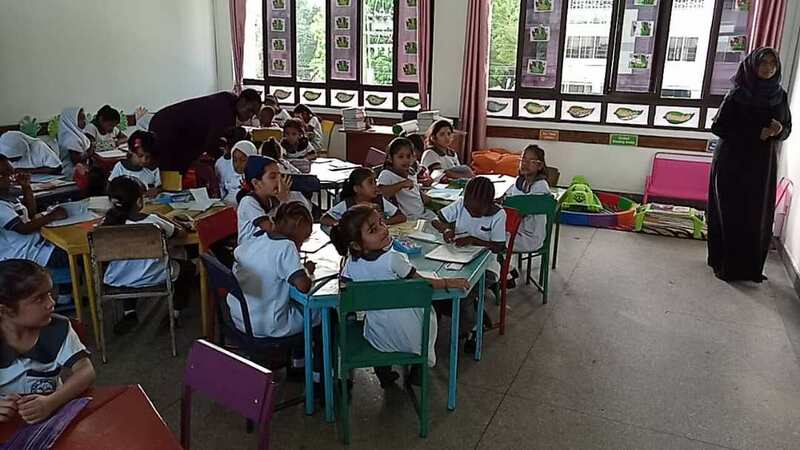 At the same time, the Upper Primary (Grade 4 – 7) strongly aims at developing the academic performance of the students through constant training and support by the expert teachers in every subject. The school is committed to STRIVE FOR EXCELLENCE and encourages RESPECT FOR DISCIPLINE with which we improve the quality of education and raise the standards achieved by our students. At AMGPS, we follow the National Syllabus, which keeps up the Tanzanian spirit at our school. 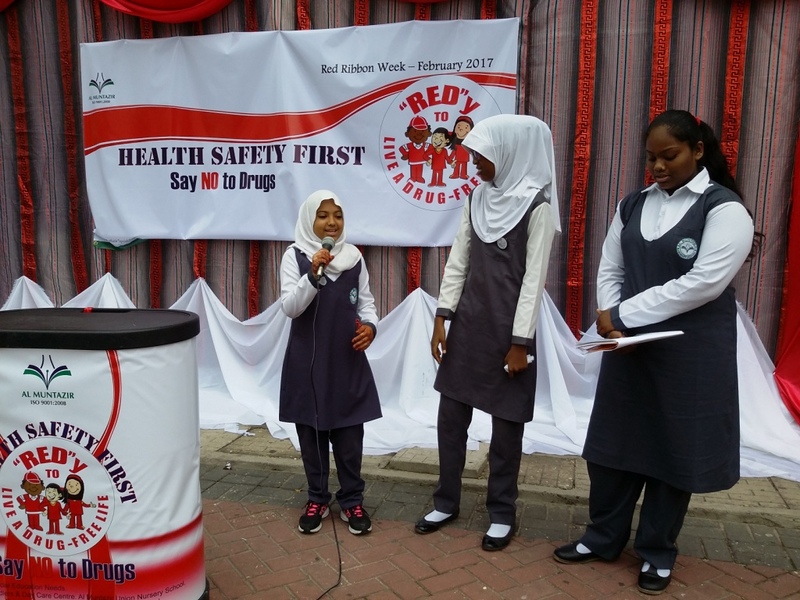 The subjects taught include English, Mathematics, Science, Social Studies, Kiswahili, Art, Physical Education and Religion or Moral Science. Not forgetting the extra curricular activities, which our students enjoy. 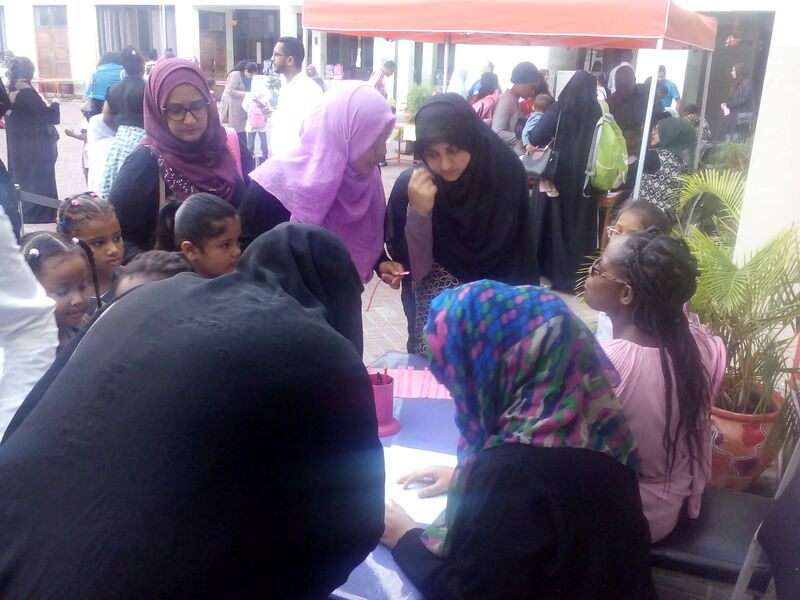 The activities being offered are Art and Craft, Language Club, Health and Science Club, Home Science Activities, Sports, Drama and Community Service too. All these reflect the skills, interests and happy spirit of the school community. We also have the facilities of a vast sports field to accommodate various sports such as football, basketball, netball, volleyball, sprinting, hurdles and many more. 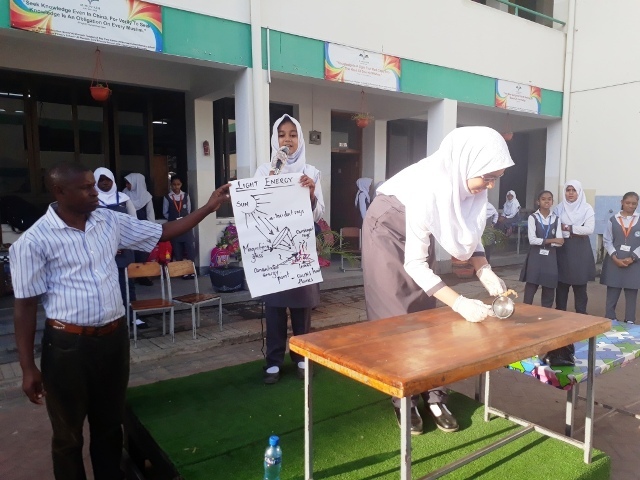 To keep up with other schools in Dar-es-Salaam, we organize interschool competitive highlights which include written and oral quizzes, poster competitions and recitations just to name a few. Our world is budding and altering everyday; it is our responsibility at AMGPS to extend the skills and widen the attitudes of our students to steer through life. To accomplish our dreams we further aim to nurture, to acquire and to reflect in a challenging and warm atmosphere. Pay us a visit. Go through our classrooms or attend our school events to get the feel of a friendly atmosphere and the vibrant spirit at Al-Muntazir Girls’ Primary School.